Here, Illustrations of my favorite subject other than work are posted. 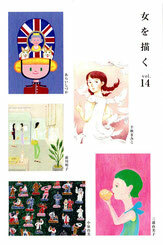 Here, we posted about the exhibition held before. "This year will be published in illustration file 2019"
If you want to contact me at work request, please contact that e-mail. Copyright (C) 2017 Arai Shizuka All Rights Reserved.